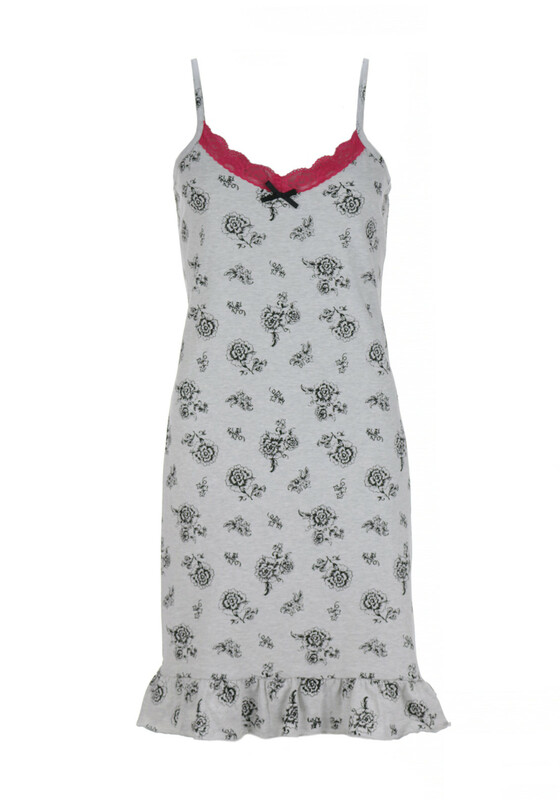 Update your summer nightwear collection with this strappy nightdress from Cameo which is perfect for warmer nights. Made from soft and comfortable cotton fabric with a feminine rose print throughout. Designed with a slight A-line shape and frilled hem. A red lace trim at the neckline completes the look.